Join us for a free college visit to Indiana University in Bloomington! Students will be able to tour Indiana University's main campus in Bloomington, Indiana, visit the 21st Century Scholars office on campus, and find out more about applying to Providence Cristo Rey High School. Space is limited - RSVP today! Shadows will be provided with breakfast and lunch. 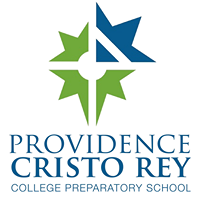 Providence Cristo Rey High School is a Catholic, college and career preparatory high school. All students work one day each week at one of our 90+ corporate internship partners to gain professional work experience. Students are prepared academically for college, with a variety of AP and college credit course options available. 100% of every Providence Cristo Rey graduating class has been accepted to college. All of our students receive financial aid - ask our Admissions staff about affording private school tuition. Questions? Call Candace Pate at 317-860-1000 ext. 108 or email her at Y3BhdGUgfCBwY3JocyAhIG9yZw==.